In a press release issued by the UN Office of the High Commissioner for Human Rights (OHCHR), Rosa Kornfeld-Matte, UN Independent Expert on the human rights of older persons, noted that poverty among older persons in Slovenia is an area of concern, notably among older women living in single households and older persons belonging to minorities and other marginalized groups. “Slovenia has consistently demonstrated its commitment to the rights of older persons at the international level,” said Ms. Kornfeld-Matte, who spent five days in Slovenia during her official visit. “It has a good normative framework, but there is still room for improvements in practice,” she added. Important adjustments made in recent years include the implementation of the reform of the social transfers system in 2012, the expert said. The pension reform, which was adopted by the National Assembly in 2011, was, however, later rejected in a referendum, and Slovenia still lacks an integrated system for long-term care. Ms. Kornfeld-Matte also highlighted the issue of abuse of older persons, who she said often suffer in silence, with only a few cases officially reported and complained against, notably in rural areas and small villages. In addition, many older persons fear reprisals from family members when launching official complaints and having to testify in a judicial process. The lack of knowledge and awareness about their rights is another reason for the low turnout of complaints, the expert said. “The particular vulnerability of older persons needs to be taken into account when designing complaint mechanisms,” Ms. Kornfeld-Matte stated, while calling for awareness-raising campaigns targeting not only older persons themselves, but family members in particular, as well as sensitizing broader communities. She also noted that, while there is strong evidence in favour of moving from institutional care to community-based alternatives, it requires sufficient and well-trained staff with skills appropriate for community-based care, as well as adequate support to families. To that end, she encouraged the Government to prepare a deinstitutionalization action plan, including the parallel development of community-based services in consultations with civil society, local communities and older persons themselves. In addition, Ms. Kornfeld-Matte drew special attention to the situation of the country’s Roma population, noting that Slovenia is among the European countries with the most pronounced ageing of population. She said that does not seem to be the case, however, when it comes to the Roma population: out of the 3,246 self-declared Roma in 2002, only 73 were older than 65 years of age, according to official statistics. “You need not be an expert to draw conclusions when looking at these figures, and while I acknowledge the efforts undertaken by the Government, immediate steps are needed to end the segregation affecting Roma across the board,” Ms. Kornfeld-Matte stressed. The expert also commended the measures taken by Slovenia towards full enjoyment of all human rights by older persons, such as the promotion of inter-generational cooperation and initiatives, the community care project “elderly for elderly,” and the Third Age University. She also welcomed preparations for the new Strategy for Quality Ageing, Solidarity and Coexistence of Generations in Slovenia by 2020. 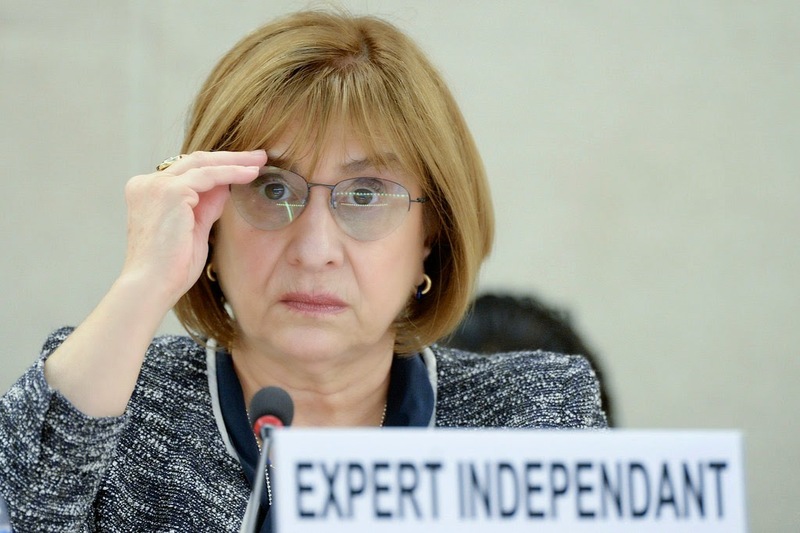 A report on the Independent Expert’s findings and recommendations of her visit will be presented at a forthcoming session of the UN Human Rights Council in September 2015.